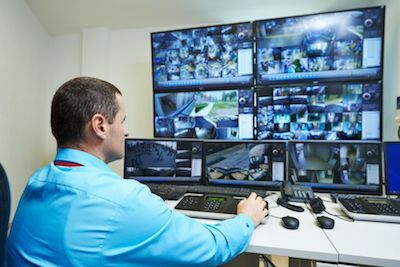 Command and operations center teams need to quickly capture and sort mass quantities of information from a multitude of sources so they can take quick action. Mission-critical information needs to be shared in real-time so the right resources are engaged. With the increase of remote workforces and inter-agency collaboration, it’s more important than ever for government agencies to collaborate as effectively as possible. Effective real-time communication helps keep the organization aligned and the mission on track. 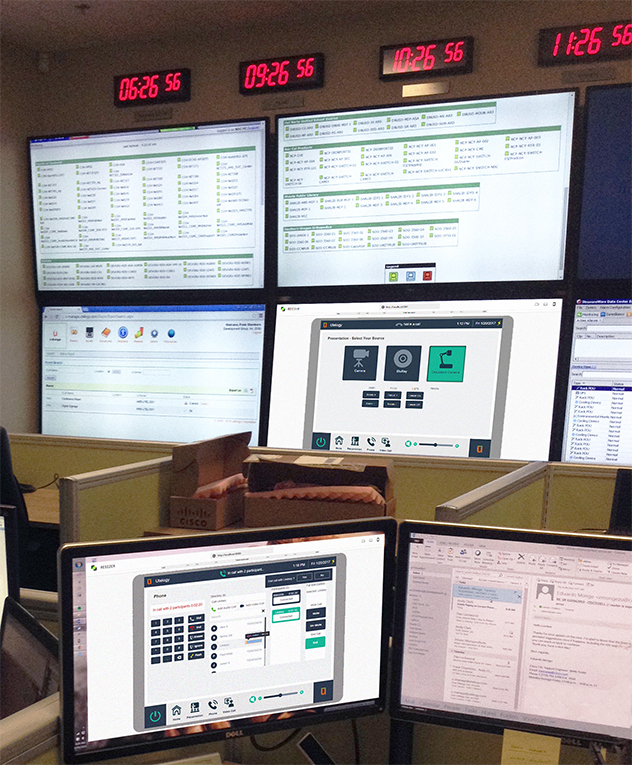 Utelogy’s software-defined approach to AV control and management enables operations center managers to deliver real-time updates from multiple inputs to several screens and monitors and assist in the communication with site technicians and other remote personnel to track problems through resolution at significantly lower cost. Savings are also realized when Utelogy is applied in conference rooms and other places of collaboration. Utelogy enables easy integration with any web-enabled AV device from any manufacturer, allowing you to select the right components for the job at the right price for the budget, regardless of the manufacturer. Reduced up-front investment – Utelogy’s revolutionary approach to AV eliminates the need for large up-front hardware expenditure because it uses existing network infrastructure, delivering a superior return on investment. Quick issue identification and resolution – Utelogy delivers information and analytics visually and in real-time for quick, easy consumption and response by operations management teams. Fast implementation – Utelogy connects to the IT network you’ve already deployed and uses the same interfaces your team already knows, so implementation and adoption is smooth and quick. Minimized system vulnerability – Utelogy’s software-defined approach enables the software and AV devices to be secured by the agency’s vetted and trusted network security. Scalability – Utelogy enables “Just-in-time AV”, allowing deployment of technology when and where it’s needed. Adding or replacing individual components or entire rooms is easy, quick and cost-efficient. Reduced support costs – Utelogy enables remote configuration, assessment and trouble-shooting, so fewer technicians can support more rooms with greater efficiency. Increased user adoption – Utelogy’s control interface is designed with the user in mind and can be customized by the authorized user, with access from any tablet, PC or smart phone. Better business decisions – Utelogy delivers metrics, analytics and other insights that drive business decisions, including return on investment, cost of ownership, usage and operational health. The right technology mix – Utelogy allows rooms to be modified quickly and cheaply, enabling cost-effective concept testing and fast, affordable implementation of new component mixes as needs change and technologies advance. Better Support Coverage – Utelogy enables support teams to cover more rooms in less time. With a traditional hardware system, we would have had to forecast what we needed to a much greater degree than we did with Utelogy. It gave us the freedom to expand in the areas where we need it. Being able to integrate Utelogy into our existing software systems and computers and being able to manage it has been a big help. Work together better, faster and smarter at a lower cost with Utelogy. ​See how Utelogy is the solution for your company’s unique needs.